Montebello residents ask, "What Botox specialist is near me?" One of the many beautiful features about Botox is the procedure only requires a few minutes, but dramatic results may be seen within a few days of your appointment with Dr. Douglas Blose. While injecting this solution into the specific muscles responsible for your crow's feet and frown lines doesn't take long, it is a very technique-specific process. Just because it is fast doesn't mean it's to be taken lightly. Many of the problems such as the frozen or fake appearance on famous faces or the headline-grabbing stories about severe side effects like disordered breathing and swallowing, have to do with unlicensed Botox practitioners and counterfeit products. 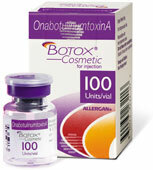 To be administered safely, a licensed professional trained in facial anatomy such as Dr. Blose must inject Botox. You should not lose the ability to express yourself with your face. When administered by a medical expert risks such as drooping eyelids and severe muscle weakness are minimized. Furthermore, Dr. Blose will be able to assess any factors that might make the process riskier for you, or even eliminate you as a potential candidate for this procedure. 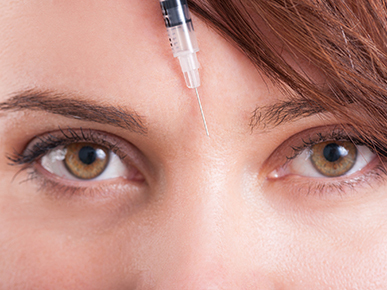 While Botox has achieved dramatic and fast results for millions of men and women, patients who are pregnant or have neurological conditions may be better candidates for other types of treatments. Botox is not the answer for all types of lines and wrinkles. If your concern isn't associated with lines around the eyes or between the brows, we can recommend an effective treatment for other specific concerns. For instance, the doctor may use another type of injectable, known as a dermal filler, to smooth out those nasolabial folds extending from the sides of the nose to the sides of the mouth. Besides area of the face to be treated, characteristics such as the depth and severity of your lines can affect which type of injectable treatment or other procedures are ideal for your situation. When you ask, "What Botox Specialist is near me in Montebello?" you need to look no further than Douglas A. Blose, M.D., Inc. Dermatology & Dermatologic Surgery. Dr. Blose and his team also offer Botox out of their convenient locations in Whittier and Downey. Call (562) 923-6450 to schedule an appointment at the office best for you.